Now more than ever people want skin care products with natural ingredients, and for good reason—nature has long provided many wonderful ways for us to care for our skin safely and effectively. Some can be used on their own and applied directly on our skin, while others are best mixed with a few other ingredients. Additionally, you can look for these skin care ingredients in your favorite natural skin care product. Coconut oil has antibacterial, antiviral, antifungal and antioxidant properties, making it a beneficial skin care ingredient for all skin types. This oil can moisturize, soothe, and heal the skin. Apply coconut oil directly to your skin or add a few drops of essential oil to the coconut oil in order to add a refreshing scent. Additionally, coconut oil is great for your hair. It deeply moisturizes even the driest strands. Shea butter is made from the nut of a tree native to Central and Western Africa. This rich, hydrating cream is chock full of Vitamins E and A along with stearic and oleic acids which means that not only is it deeply moisturizing but it is anti-aging as well. In addition, it's a great ingredient for sensitive skin since it will soothe even the most compromised skin. You can apply a little bit of shea butter directly to your skin or lips or use it as a base to create body butters and even more skin care products. Tea tree oil is an essential oil that can be used to treat acne naturally without harsh and unwanted side effects since tea tree is anti-bacterial, antimicrobial and anti-fungal. This natural product is produced from the shrub Melaleuca alternifolia, which is native to Australia and turns out that a 5% solution of tea tree oil is just as effective as benzoyl peroxide in treating acne. While benzoyl peroxide can dry out skin and bleach pillowcases and clothes, tea tree oil does not have any of those side effects. It is best not to apply tea tree oil directly to skin; mix it or add a few drops to other skin care ingredients before applying to skin. Tea tree oil is good for much more than treating acne. You can use it in household cleaners, to eliminate nail fungus and foot odor, and to treat dandruff. You can even use tea tree oil to cure a sore throat and stop a head cold. Used since ancient times to treat, soothe, and hydrate skin, aloe vera is another extremely versatile natural skin care ingredient. Aloe vera is known to heal skin burns. You can take an aloe plant, cut open a leaf, and apply the gel that comes out of it directly to your skin if you get a burn. You can also use aloe vera gel in so many different DIY skin care recipes—everything from hand sanitizer to facial masks. Green tea is a powerhouse natural ingredient for your skin. It helps our skin from the outside in and from inside out when you drink green tea. This tea is high in antioxidants which protect our skin (and our overall health) from sun damage, pollution, and poor lifestyle choices. It can also reduce inflammation in the skin, which means it is an anti-aging skin care ingredient. Additionally, green tea can soothe skin. You can even easily make your own skin care products with green tea in them. Witch hazel comes from the bark and leaves of the shrub Hamamelis virginiana which is native to North America. Like so many other ingredients on this list, witch hazel has numerous uses when it comes to skin care. It is anti-inflammatory, an astringent, anti-microbial, and can even moisturize skin. Use it to soothe diaper rash, bug bites, and razor burn. You can also use it on its own as a skin toner and add essential oils to witch hazel in order to customize it for what your skin needs at that moment. Though we normally think of it as a great addition to salads and sandwiches, avocado is actually a fruit that can hydrate and soothe skin. High in Vitamins A, D, and E, avocado even has anti-aging properties in it. 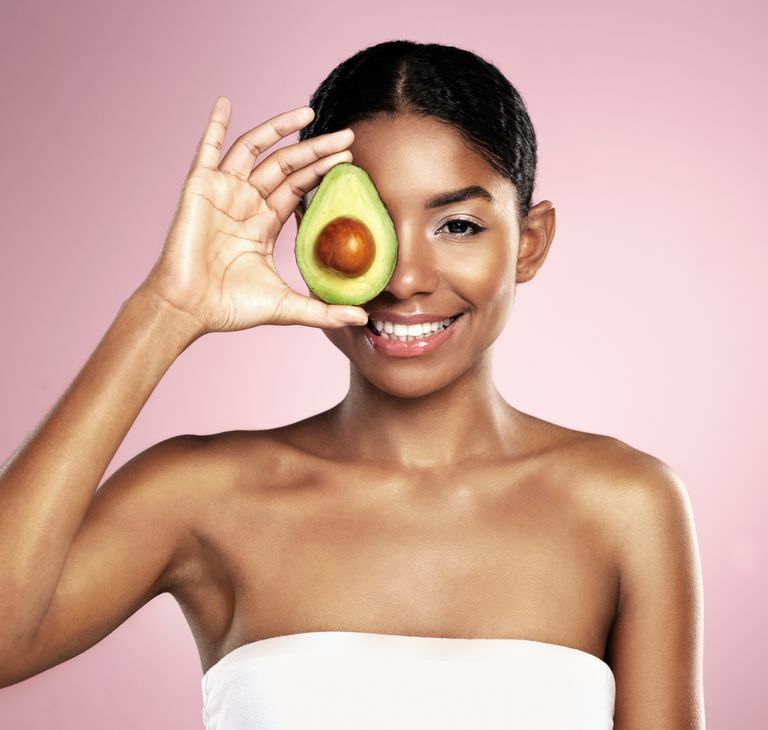 Whipping up an avocado facial mask couldn't be easier. Simply mash 1/2 a ripe avocado, add a teaspoon of honey for extra hydration, and a teaspoon of yogurt to further soothe skin. Apply to your face and leave on for about 10 minutes. Rinse off with lukewarm water.